In the US, The FCC‘s new requirement about radio frequencies was implemented on June 2nd. Linksys said, that they will not protect their devices from flashing with 3rd party firmware. The FCCis an independent agency of the US-government that regulates interstate communications by radio, wire, satellite, television, and cables in all 50 States. In 2015, the FCC declared it was going to change rules for the certification of radio frequency (RF) devices in order to prevent the modification of the radio module to prevent people from modifying a router’s radio module. The aim is to prevent radios from operating outside their licensed radio frequency. The user of the router disables the dynamic frequency selection (DFS). The DFS is the feature that detects radar and avoids operating on the same channel in order to allow unlicensed devices to use the 5GHz frequency band without causing interferences. The deactivation of the DFS is the “major cause of harmful interference,” according to the FCC. The user of the router modifies parameters of the device. Once modified, the device can operate in frequency bands that they are not certified for. What are the consequences for router makers ? on the Wi-Fi router market? (and will be) sold in the US, from the June 2nd onwards. 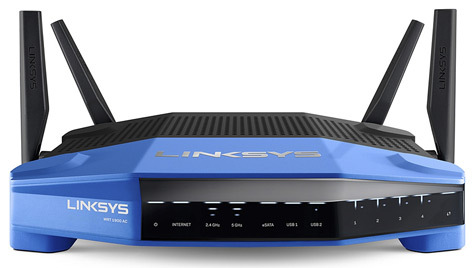 The 5GHz routers commercialized before this date do not have to include security measures that prevent firmware modifications in Wi-Fi routers. For router makers, the easiest way to comply with this FCC regulation is to prevent any modification of their routers, by blocking third party firmware (which means that only the stock proprietary firmware will be authorized to run on the router). Even if FCC declared that installing alternative firmware is legal, TP-link already announced that henceforth, certain firmware customizations on wireless routers are blocked. Conversely, Linksys, an American company specialized in selling data networking hardware products, is trying to find a compromise. Linksys has supported the Open Source community for many years. In fact, Linksys’ lead product, the WRT54GL (“WRT” stands for “wireless router” and “L” for “Linux”) is clearly chosen by clients for its firmware flexibility. To save its reputation, the American company found a solution that complies with this new regulation without completely blocking the possibility to modify Wi-Fi router’s firmware. Linksys is deploying controls that prevent devices from operating outside their allowed frequencies, their types of modulation, power levels, and so on. In addition, the company said that “WRT routers will store radio frequency parameter data in a separate memory location in order to secure it from the firmware”. Compared to its competitors, like TP-Link, D-Link, and NetGear, Linksys has a clear competitive advantage by supporting Open Source and will probably become the favourite hardware provider among the Open Source community users. In a nutshell, the FCC requires “routers and software to be secured to prevent changing the power output or unauthorized channel selection of the router on the 5Ghz band”. This is also valid for the European market as the European Telecommunications Standards Institute has a similar requirement. Even if Linksys tried to find a compromise by still enabling firmware modifications for Wi-Fi routers, the range of possibilities for firmwares’ modification for Open Source users is already reduced. Tanaza also supports a wide range of access points, including brands like TP-Link, D-Link, NetGear and Linksys.